I am passionate and excited about creatively treating oncology patients’ pain by focusing on their individual needs using cutting-edge interventional procedures to decrease symptoms from pain treatment. Dr. Nathan Neufeld was drawn to medicine as a child, inspired by his mother’s work as a registered nurse. But it was her battle with breast cancer that cemented his commitment to working with cancer patients. “Her breast cancer spread to her bones, which was extremely painful,” says Dr. Neufeld, who is Chief of the Division of Pain Management at Cancer Treatment Centers of America® (CTCA), as well as Medical Director of Pain Services and Supportive Therapies and an Interventional Pain Management Specialist at CTCA® Atlanta. Dr. Neufeld joined CTCA in July 2013 after nine years of medical and quality improvement training, most of which was done at The Johns Hopkins University School of Medicine in Baltimore. In 2013, Dr. Neufeld completed a one-year Anesthesiology fellowship in Interventional Pain Medicine at Johns Hopkins. Dr. Neufeld brings expertise in advanced interventional pain management techniques to treat the needs of his patients, including intrathecal pain pumps, radiofrequency ablation, spinal stimulation, nerve blocks and kyphoplasty. “My goal is to increase quality of life by using every tool necessary,” says Dr. Neufeld. In 2012, Dr. Neufeld was a fellow in Patient Safety and Quality at Johns Hopkins. 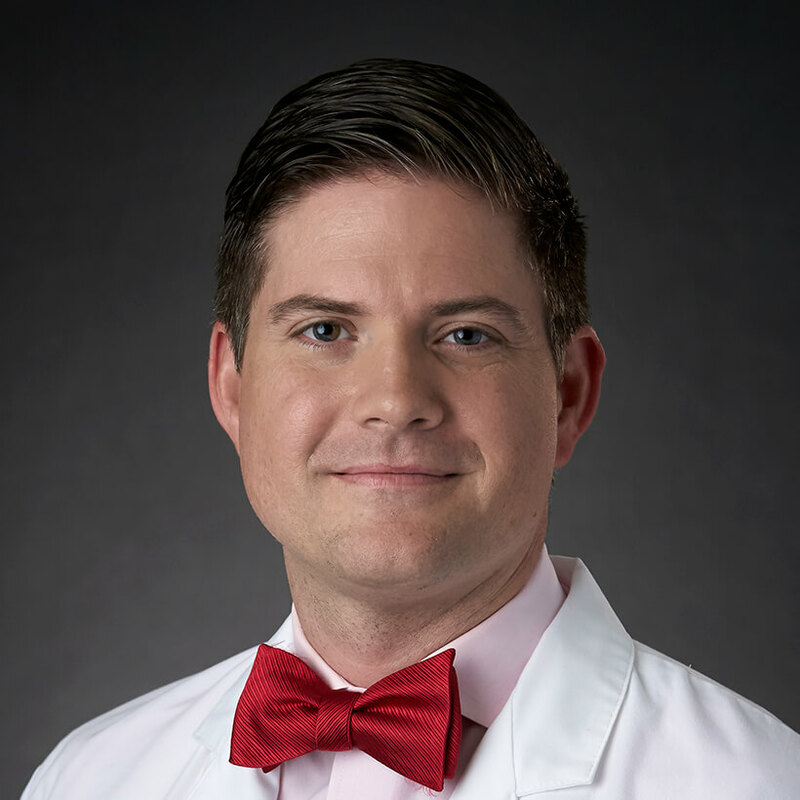 He was named Chief Resident during the final year of his residency in Physical Medicine and Rehabilitation at Johns Hopkins from 2009 to 2012. His fellowship in Patient Safety and Quality was part of the Johns Hopkins Medicine Armstrong Institute for Patient Safety and Quality. Dr. Neufeld worked on improving completeness of hospital paperwork, which earned him a Best Paper Award from the Association of Academic Physiatrists. In addition, the American College of Medical Quality named Dr. Neufeld a National Quality Scholar. “The skills I obtained through my fellowship will help reduce errors, improve provider efficiency and optimize health care delivery systems, which are essential to a successful pain practice,” says Dr. Neufeld, who is board-certified in Physical Medicine and Rehabilitation. Dr. Neufeld has authored several research papers and editorials. He wrote a book chapter titled “Osteopathic Manipulation in Common Musculoskeletal Pain Syndromes” in Physical Medicine and Rehabilitation, which was published in 2011. Dr. Neufeld has been invited to present his work on quality improvement nationally and internationally, particularly Lean Six Sigma methodology, at Johns Hopkins and medical association meetings, which include the International Society for Quality in Healthcare, the Institute for Safe Medication Practices Canada, the American College of Medical Quality and the Association of Academic Physiatrists. He has been a medical advisor to the US Department of Veterans Affairs. Dr. Neufeld is certified by the American Board of Physical Medicine and Rehabilitation, the American Board of Anesthesiology and the American Board of Medical Quality. He sits on the Medical Association of Georgia (MAG) Foundation’s Think About It Advisory Committee to help fight the opioid epidemic in Georgia. He is also on the board of Southwest Christian Care Hospice, and is a content expert on the Coweta Substance Abuse Prevention Coalition. In his free time, Dr. Neufeld spends time with his family and friends. He is involved in his church, follows football, reads books on leadership and practices digital photography. Dr. Neufeld and his wife, Stephanie, have six children.